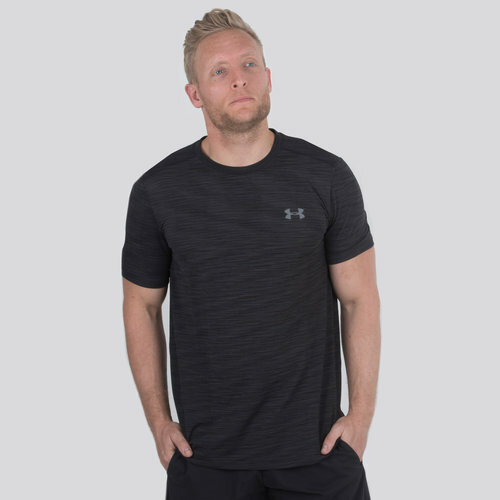 For a smart look at training or in the gym, pull on this Threadborne Seemless S/S Training T-Shirt in Black made by Under Armour. This training t-shirt has been designed with a next-to-skin fit, without being too tight. The soft fabric has strategically placed mesh ventilation, perfect for keeping you cool when the training heats up. Under Armour's Moisture Transport System wicks sweat away from the skin keeping you dry and comfortable. Made from a polyester/nylon blend, anti-odour technology prevents the growth of odour. In a simple black design with the famous Under Armour logo upon the chest, you too can pull on this Under Armour Threadborne Seemless S/S Training T-Shirt.